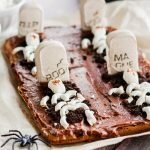 Let the kids celebrate Halloween with these fun and spooky Halloween Graveyard Tombstone Brownies. All you need to get started is a box of brownie mix. Get your kids into the Halloween spirit this year by putting them to work in the kitchen. 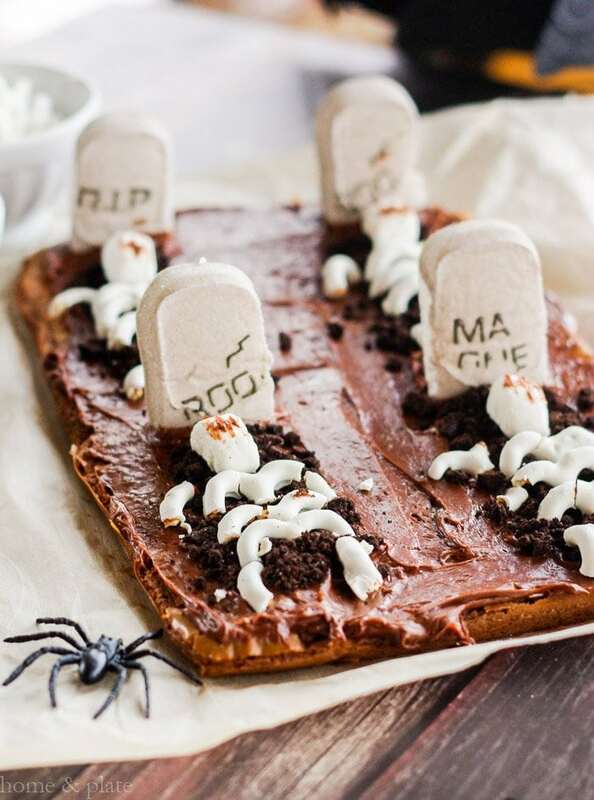 The whole family can help create these fun and delicious graveyard brownies which will be the envy of all the ghouls and goblins in the neighborhood. This is an easy recipe using box mix brownies, crumbled Oreo cookies, chocolate frosting and tombstone Peeps. You can also use Pepperidge Farm Milano cookies or graham crackers decorated with chocolate gel icing to create your tombstones if you have trouble finding Peeps. Yogurt covered pretzels and mini marshmallows served as our skeletons. It was just as much fun to craft this pan of brownies as it was to eat them. And I love that my teenage kids can do this all on their own. Halloween this year snuck up on me. I think it’s because my kids are at the age where coming up with costume ideas is a last minute thought. It’s hard to top last year’s group idea – secret service agents. While the costumes for this year’s Halloween are still a work in progress, I have managed to display my Halloween spirit. 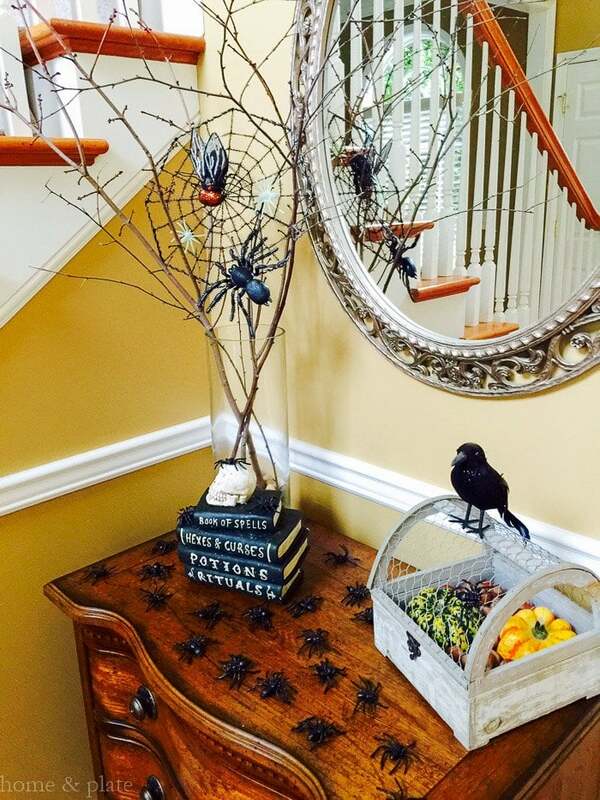 This year I chose creepy black spiders as the focal point. The dollar store was a great place to buy spider webbing, small black spiders and a few bigger ones. The grocery store is also a great resource for small gourds and shelled nuts. Trick-or-treat night is right around the corner and my home will be ready for all the little ghosts and goblins that ring my doorbell. I will be sure to have plenty of sweet treats on hand. Now here is that Graveyard Tombstone Brownies recipe. Line a 9 x 13" baking pan with parchment paper to make removal easy. Follow the instructions according to the box brownie mix. Allow the baked brownies to cool before decorating. Frost the top of the brownies. 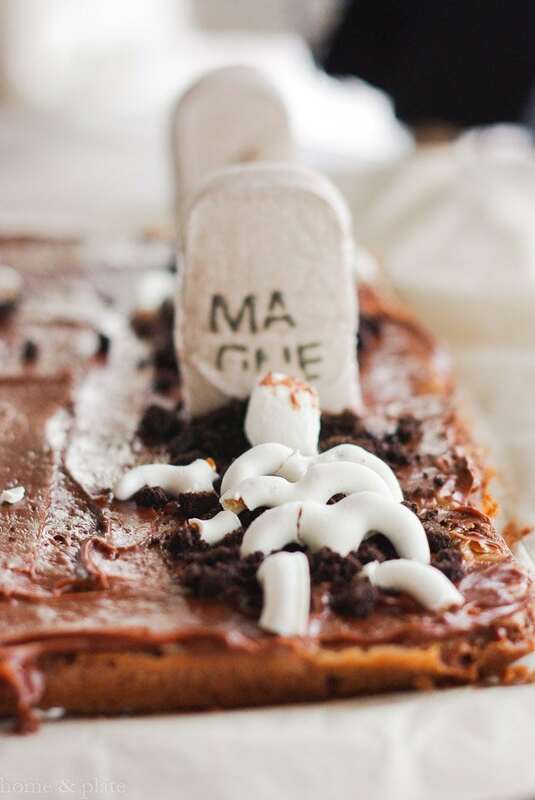 Add the tombstones and crumbled Oreo cookies to create fresh graves in front of each tombstone. Cut three pretzels in half and use the top portion of the pretzel to create a skeletal rib cage in front of each tombstone. Use the remaining pieces for the arms and legs. Pop in a mini marshmallow for the skull. Just get creative. How awesome are these??! 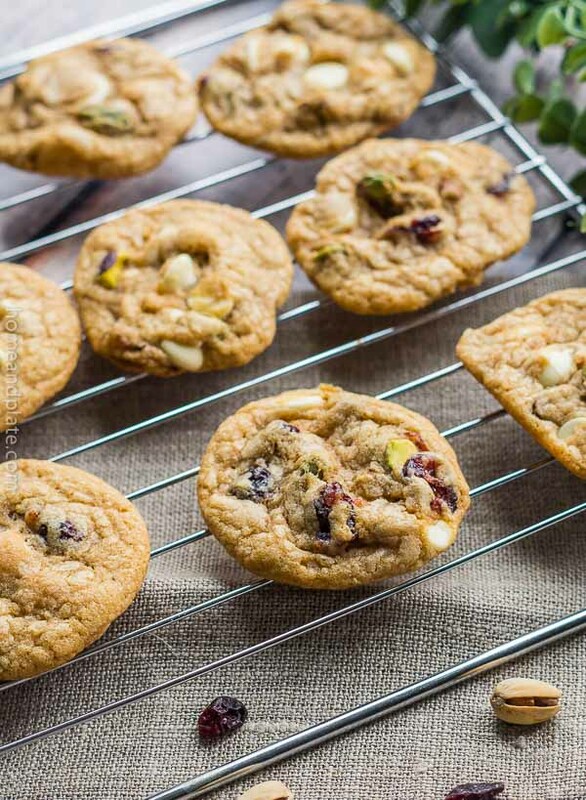 LOVE the way you used the yogurt-covered pretzels, seriously genius! 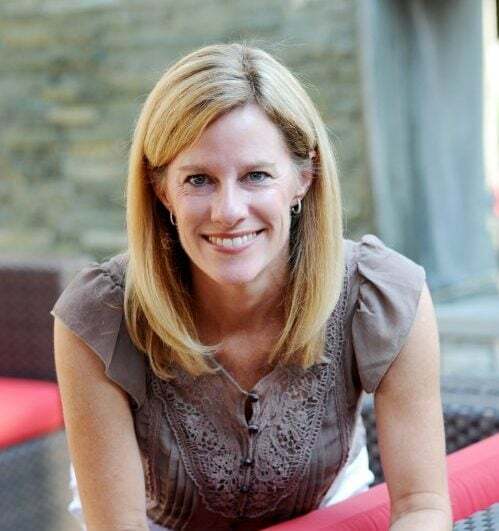 Kimberly … I initially went looking for the Wilton while chocolate skeletons and had no luck. The pretzels were the backup and they worked out okay. Thanks. haaaa, the pretzel skeletons are awesome! That was fun trying to chop them up without cracking. But it all worked out. Thanks Kristina. Alisa … you are too sweet. 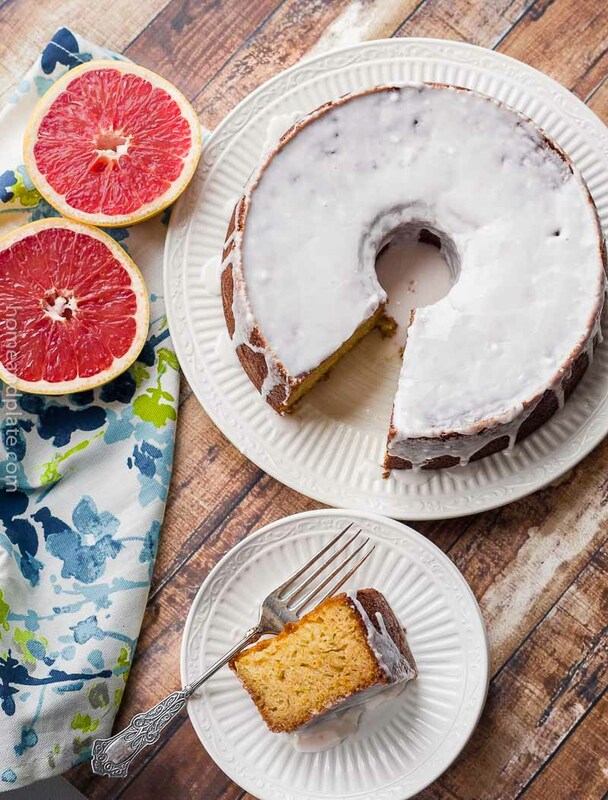 It was fun helping the boys do the decorating for this recipe. As far as the house … I love the dollar store! Thanks Kacey. The costumes were a hit. Now if I could help them come up with ideas for this year. Thanks Heather. The boys had fun creating them. How cool! I love the yogurt pretzel idea for the skeletons! The pretzels really are a fantastic idea!! Peeps it is…they had several different options too. I found them at Kroger but also saw them at Target. They were a hit in my house. These are too cute! I never would have thought that pretzels could do double-duty as skeletons!